While trying to physically force Norrie off the roof of a house in "Alaska," Hunter took a 20-foot spill to the brick walkway below. A crane was brought in to get the camera up to the roof while stunt players stood by to assist with safety. 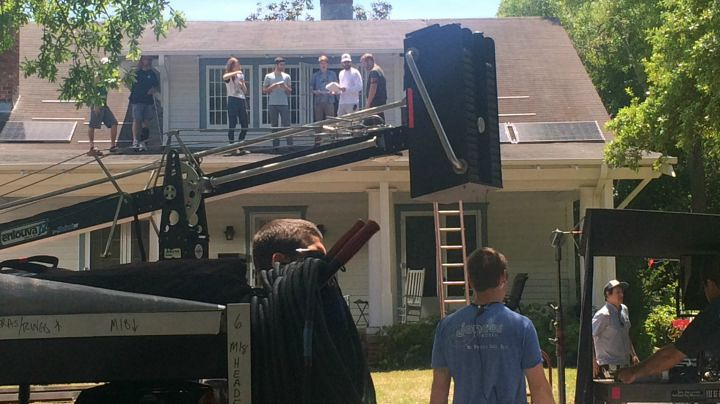 The dramatic scene was filmed at a local home in Wilmington, NC.